Old Wild West times are long gone, but isn’t it tempting to put on a role of a bandit queen or an outlaw gunfighter, constantly on the run? ‘Let fly’ and make a well-known Wanted poster ‘of the first water’ with your photo on it. If you enjoyed playing 'Cowboys and Indians' as a kid and 'The Good, the Bad and the Ugly' is still your favorite movie, you definitely need something to prove it to your friends (once again). And making the original Wanted posters out of your and your best buddies’ photos is the easiest way out there. This is the ‘Simon pure’. Make it as if you all cowboys, who belong to one criminal gang of the American West and turn them into the most famous outlaws. 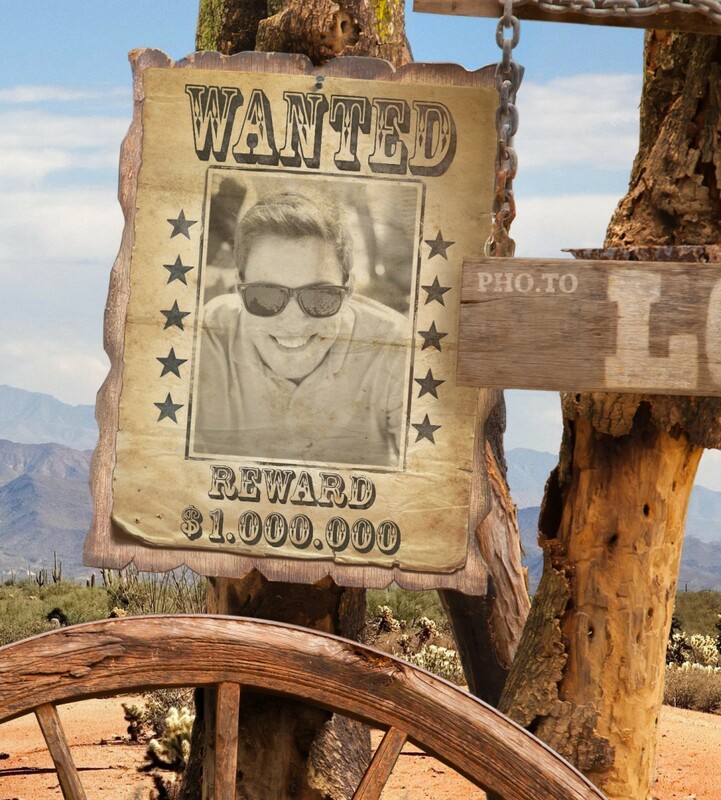 All wanted dead or alive. Billy the Kid, Belle Starr, Butch Cassidy… Create those famous western posters using our Wanted photo frame in no time and have a ‘hog-killin’ time’ watching the reaction of your friends. As we bet they’ll be ‘dreadfully’ amazed. 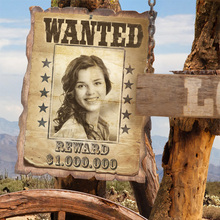 By the way, the results you’ll get with this poster maker are ‘fine as cream gravy’, so you can easily print your Wanted posters out and use them to decorate a Wild, Wild West party! For a bit of variety also check our ‘Cowboy Frame’.